This position is primarily responsible for TIG welding of cold-rolled sheet steel and deburring, sanding cutting, and grinding parts to be ready for next operations. Knowledge is required in the following areas: Welding and fabrication of product, sub-assemblies and components for production; welding symbols; ability to read and understand welding drawings; quality control; and safety. Must be able to consistently lift 50lbs. From a floor or table position to chest high using a proper lifting technique. Must be able to push/pull 50 lbs. Must demonstrate good hand/eye coordination. Must demonstrate good manual dexterity. Must be able to read, evaluate, and respond to product specifications and drawings, and perform normal math calculations easily. Must be able to read tape measure. Must be familiar and comfortable with various machinery. 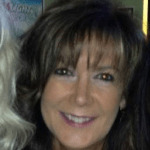 Vicki has worked in the hospitality industry for over 20 years in various management positions ranging from Training, Recruiting, Employee Relations, Compliance and Executive Leadership. She operates with a high degree of passion, integrity, responsibility, and a champion for people. Vicki is recognized as a strong leader with excellent technical abilities and competencies such as; partnering with clients and leads to achieve clear and measurable staffing objectives, promoting creativity and outside the box thinking, practical HR knowledge and a strong change agent with high capacity to adapt and problem solve in a fast paced and changing environment.